We all have that one eyeliner that we vowed never to use again after it left us looking like a hot mess after a night out. (Raccoon eyes, holla!) That’s because sometimes, even if brands claim that their eyeliners are long-lasting, waterproof and smudge-proof, they just aren’t. We picked up from banila co.’s Chief Makeup Artist Kangpil Kim a fantastic tip that might actually make us give our chaka eyeliner one more shot. “After lining your eyes, use a lightweight translucent setting powder to keep it from smudging,” he said. We’ve heard of using eyeshadow to set pencil and gel liners, so this is definitely something new, and is worth a shot! 1. 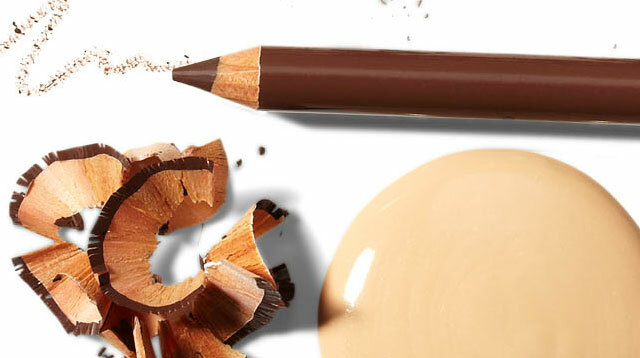 Swatch the eyeliner on the back of your hand by doing a “coloring motion.” Don’t just draw a line! 2. Ask for a spray bottle filled with water—your facial mist or setting spray will work too—and spritz it on the area with the swatch. 3. Rub it using your fingers. If it moves, then it will budge. If it doesn’t, then you have yourself a keeper. Now you won't ever have to waste money on bad eyeliners again!